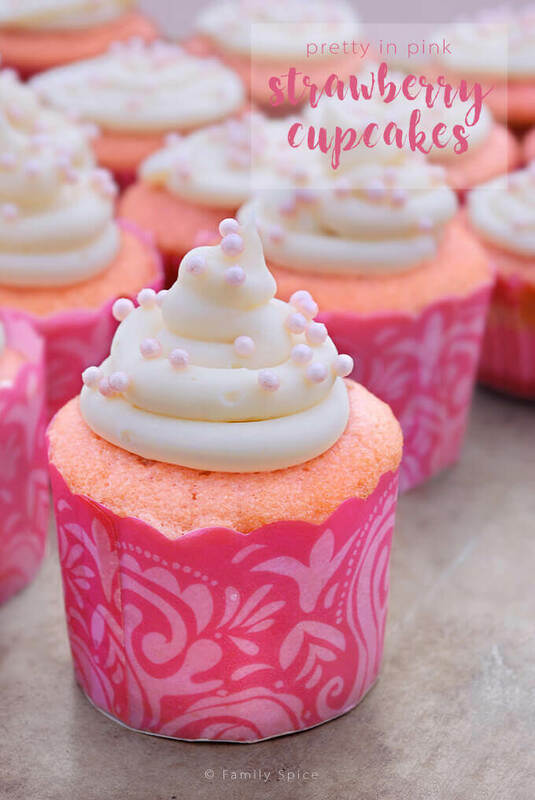 What little girl won’t adore these Pretty in Pink Strawberry Cupcakes for their birthday? What happened to my pretty princess? She has grown up so fast. My youngest turns five tomorrow and I am sad. She is in kindergarden full time now. She’s my happy joyful girl. She wakes up with a smile and gives me hugs and kisses every morning. She brought pink into our lives, which was filled with blues, greens, Batman and Pokémon when she arrived. Last year she had her Princess Tea Party. This year her big cousin led the birthday girl and her friends in a dance and gymnastics games. They sang their heart out from “California Gurls” to “Mamma Mia.” They twirled their batons and shook their booties. It was a sight to see! My girl wanted pink cupcakes. So I made her some Pretty in Pink Strawberry Cupcakes. I made 45 cupcakes. I frosted them with big swirls of cream cheese frosting. I found these cute cupcake holders at Michael’s, along with the beautiful pink pearls of sugar. Perfect for my pink-loving princess. It was a beautiful day. And she’ll always be my baby! For the family bday dinner, I made this into a 3-tiered strawberry cake. It’s still pretty impressive, even if my photographs are lackluster. Apply non-stick spray to three 9-inch round or 8-inch square cake pans. You can also butter the pans and then line with parchment or waxed paper and butter the paper. You can also line a 36-cup baking pan with liners. Add flour mixture to the butter mixture and mix until fully incorporated. Add half of the milk mixture to the rest of the batter and mix until incorporated, about 30 seconds. 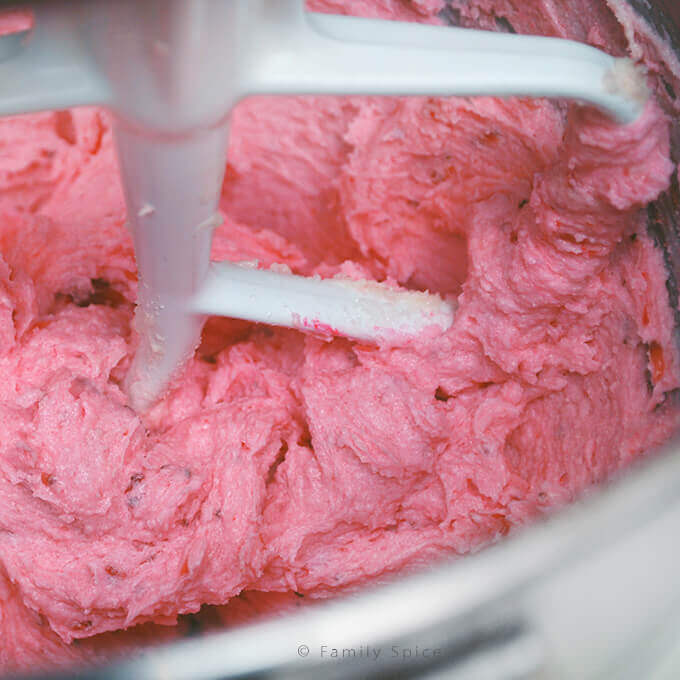 Add the remaining half and mix for another 30 seconds. Bake the cakes for 30 to 35 minutes, or until a toothpick inserted into the center comes out clean. Allow the layers to cool in the pans for 10 to 15 minutes. Invert and turn cakes out onto cooling rack and peel off the paper liners (if used). Let stand until completely cooled before assembling the cake, at least an hour. 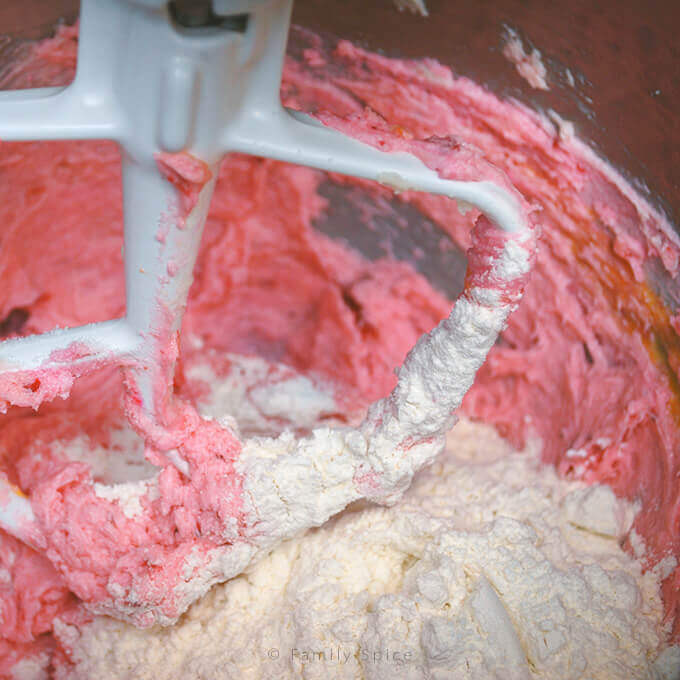 Keep frosting in the refrigerator until ready to use on the cake. Serving Suggestions: *Note: Frozen strawberries are used instead of fresh. 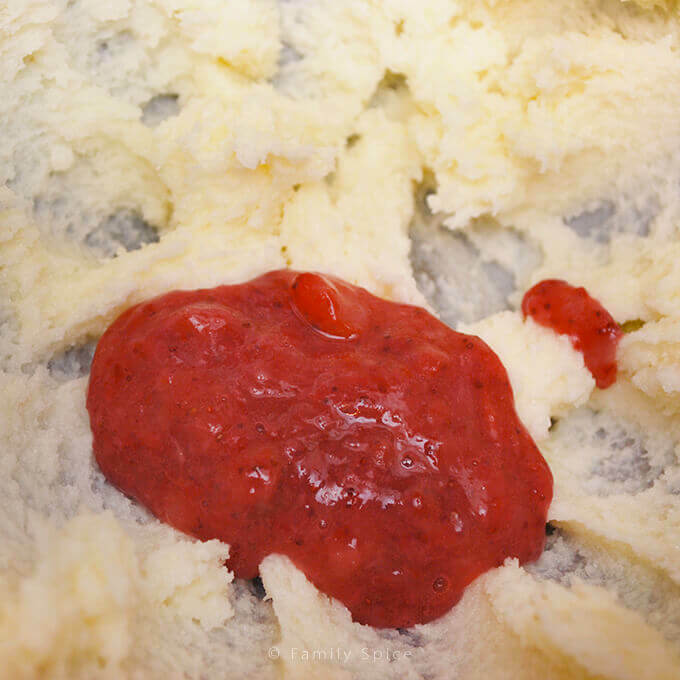 If you want to use fresh strawberries, freeze them first and then use. This will dry the strawberries enough to prevent a soggy cake. 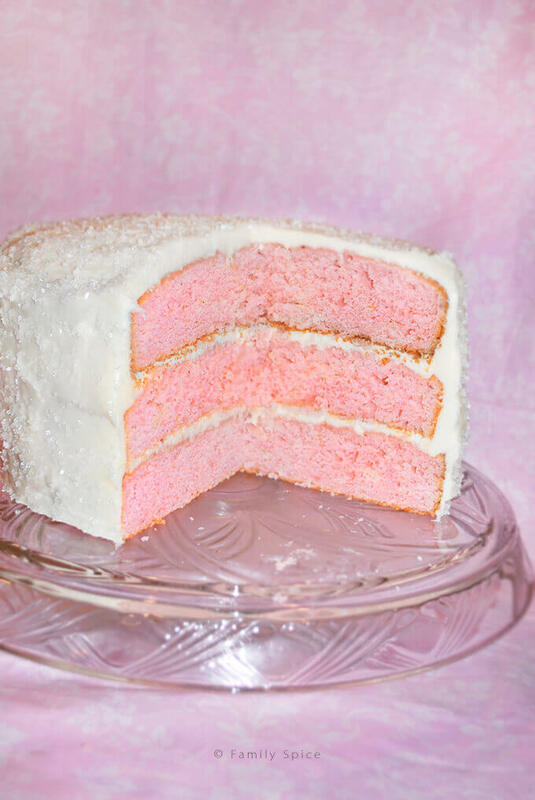 You can also try this with frozen raspberries, but it will yield more of purplish-color cake. So pretty! And they look delicious. Thanks, Candace. They really were tasty and still my daughter’s favorite.